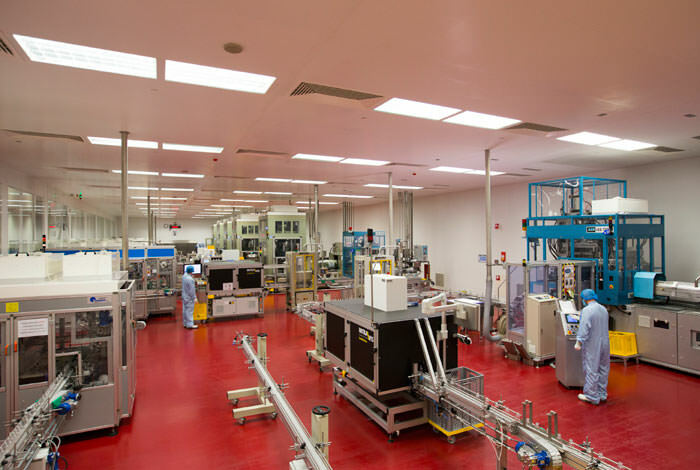 PET Power has its own cleanroom (GMP class C) of no less than 1,200 square metres. 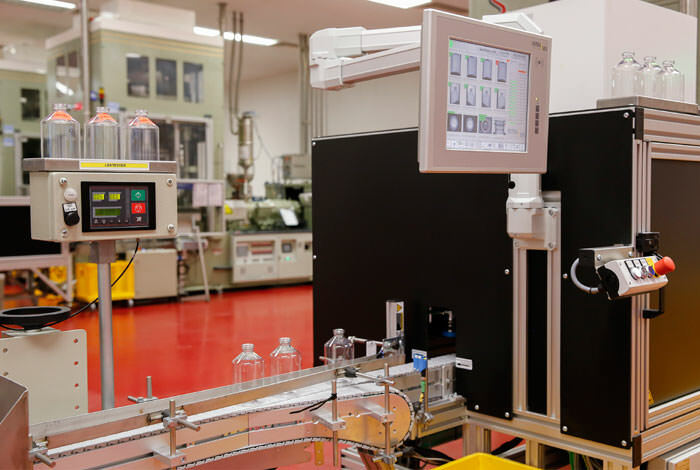 In this special air pressured cleanroom, we produce all our healthcare PET packaging. 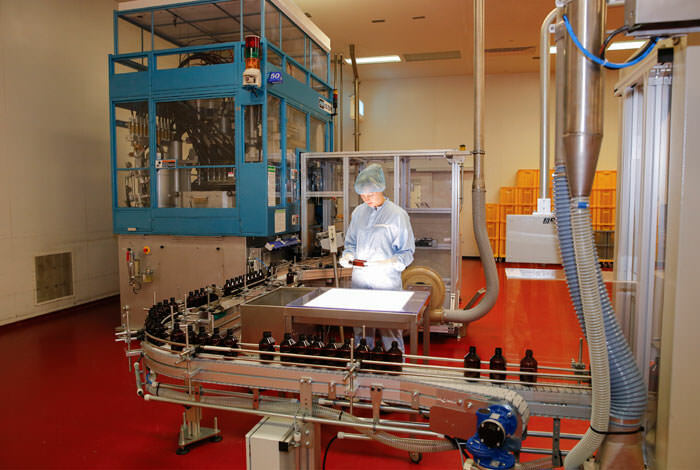 The cleanroom allows us to make products very clean, or after an additional treatment with gamma radiation, medically sterile. This service meets the needs of customers who need aseptic filling or who do their own filling in the cleanroom. The air pressure in the cleanroom is higher than the ambient air pressure. This means that there is only a unidirectional, outgoing air flow, i.e. there is no incoming unmonitored air flow. The monitored incoming air flow is filtered with a HEPA (High-Efficiency Particulate Air) filter. The filter removes more than 99% of particles larger than 0.3 µm. 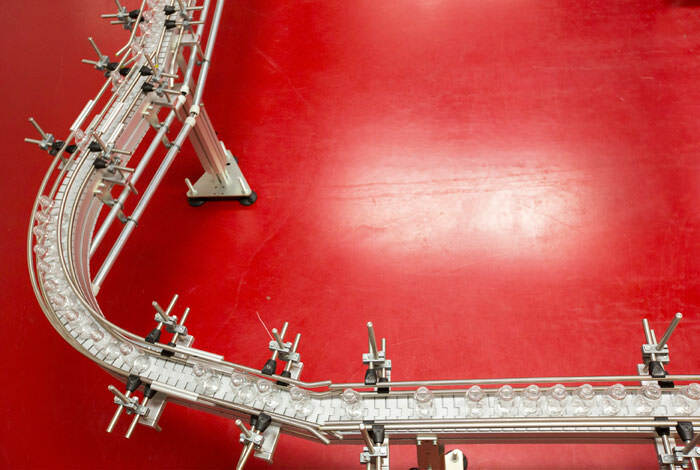 Aside from controlling the particles, we also perform temperature and humidity control to keep the production process as stable as possible. 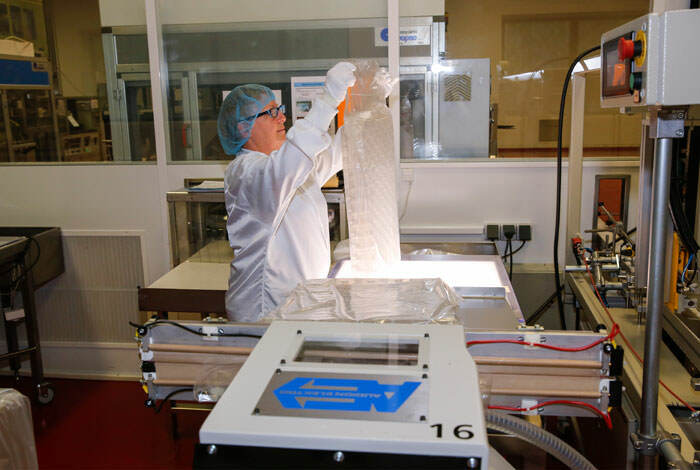 The machinery in the cleanroom is shielded with a laminar flow, an air curtain. We only blow the bottles with filtered and conditioned oil-free air. Employees wear special cleanroom clothing. Despite all these measures, the air is not free from particles. It should not contain more than 352,000 particles, no larger than the size of 0.5 µm per cubic metre of air. That may seem like a lot, but normal air contains millions of these particles. So, our cleanroom air is ultra clean. 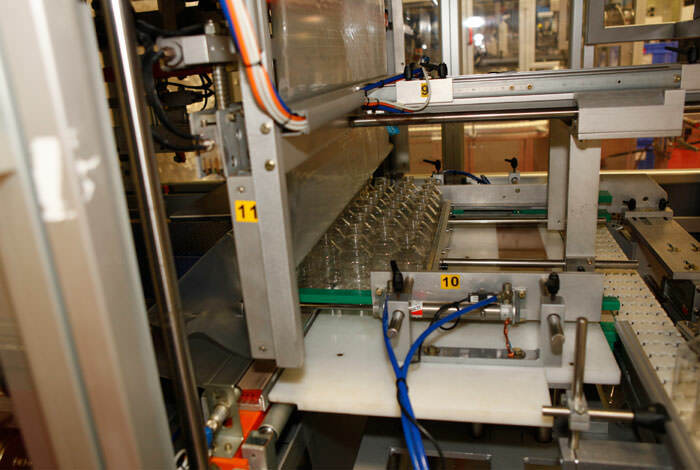 The various PET bottles and containers run from a production line to our brick pack machines. A brick pack is a set of bottles sealed in foil. 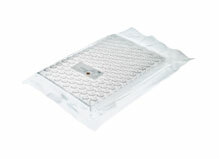 Once the PET bottles are provided with a first, airproof, sealed layer of foil, they leave the GMP class C space. In the packing room (Class 8), the brick packs are optionally provided with a second and third layer of foil and we affix a unique label and radiation indicators. Then, we stack the brick packs in a high-quality secondary packaging.